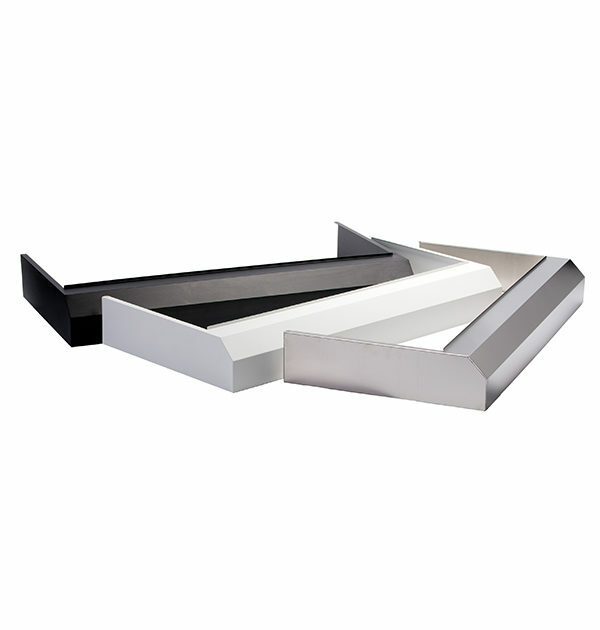 These days, many kitchens have stainless steel appliances, and unfortunately, stainless steel is non-magnetic! 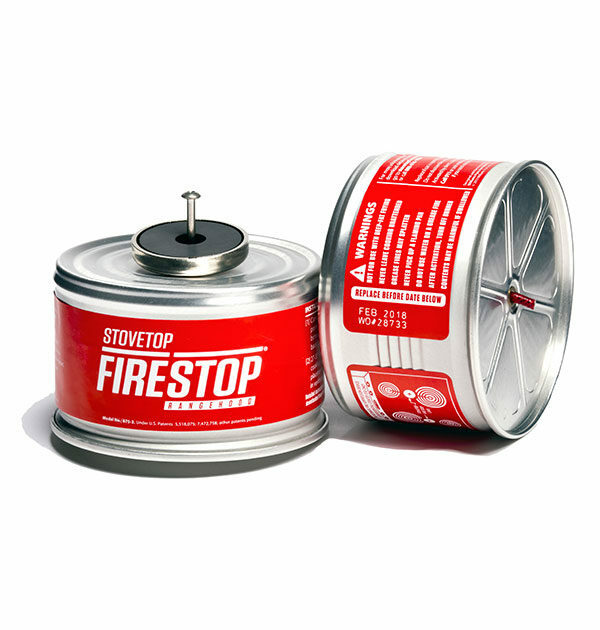 Does that mean you can’t use StoveTop FireStop Rangehood or Plus products in your kitchen? 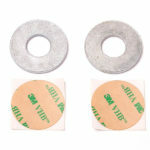 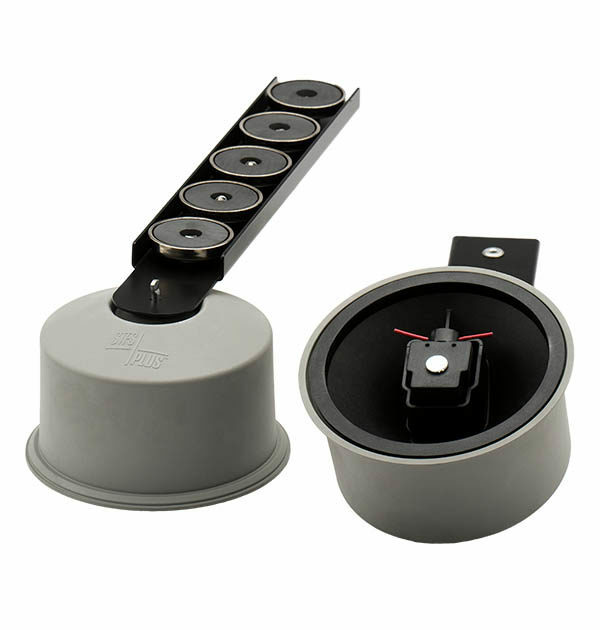 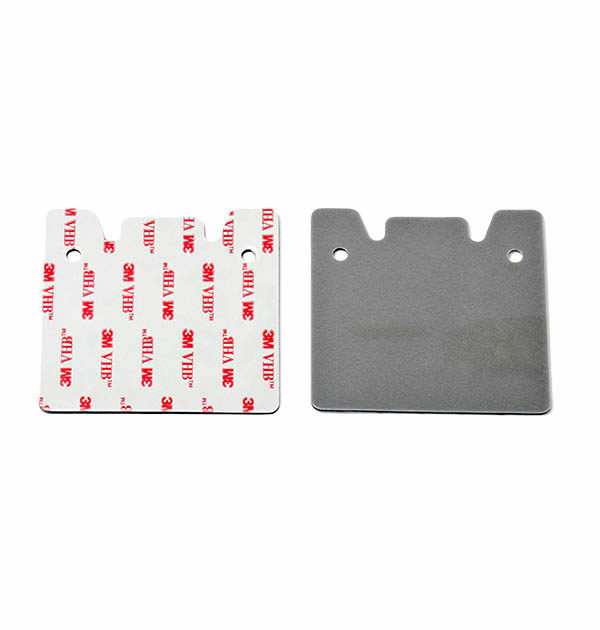 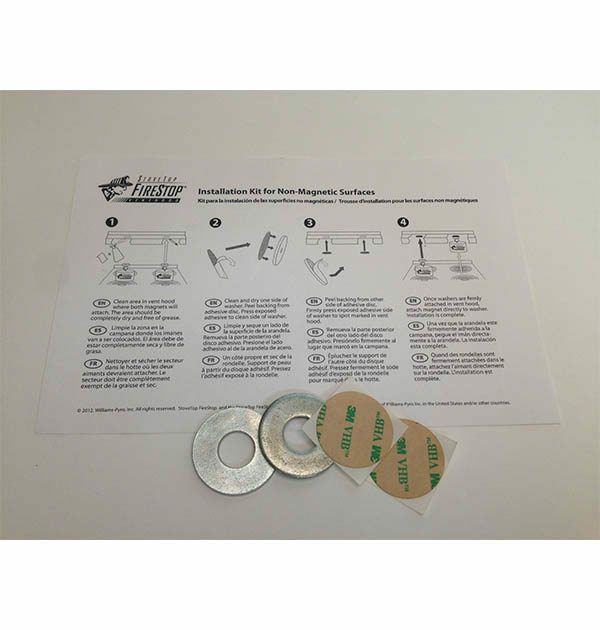 This highly tactile, double-sided adhesive sticker and washer set was developed by 3M to provide our customers with an easy installation process for attaching our industrial strength magnets (and their life saving, fire suppressing canisters) to their non-magnetic vent hoods. 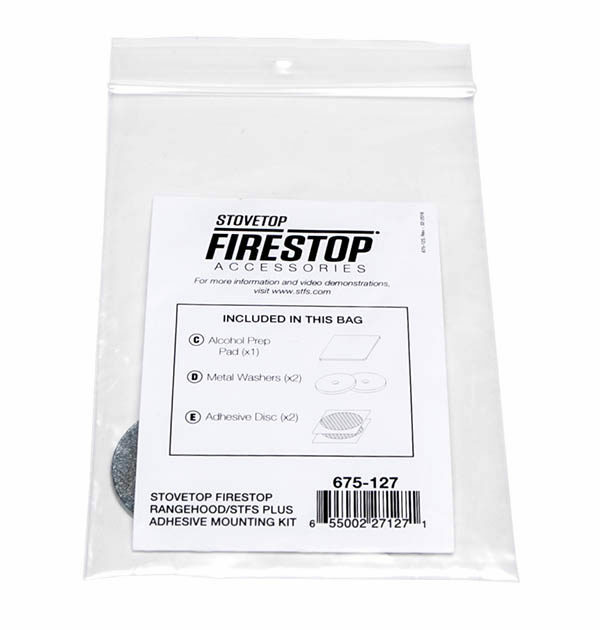 Don’t let your stainless steel hood keep you from benefiting from the protection of having our automatic fire suppressors installed in your kitchen.